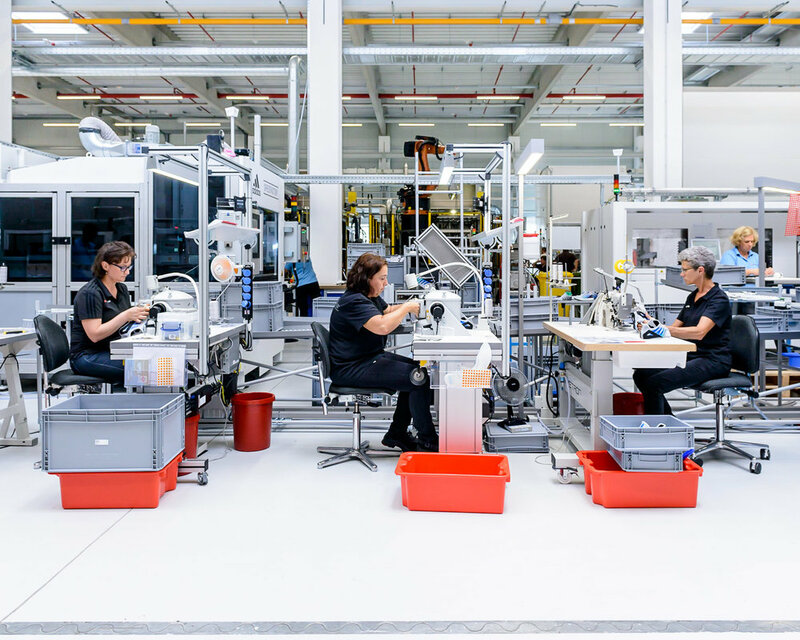 adidas Made for London shoes in a lasting machine the company's new "Speedfactory" in Bavaria. Over the past year, in collaboration with Wired magazine, ReD Associates* and Men's Health, I've been given unprecedented access to adidas' headquarters, research departments and factories. Adolf Dassler founded adidas in the small Bavarian town of Herzogenaurach in 1949. He began making shoes in his mother's kitchen upon his return from World War I, and was joined shortly after by his brother Rudolph. In 1936 Adi drove to Berlin to persuade Jessie Owens to run in adidas running shoes, the first sponsorship of an African-American, and Owens' four gold medals assured interest in adidas' shoes from the sports world. During World War II the brothers split amid a huge argument, which led to the establishment of adidas (Adi-Dassler) and Ruda (Rudi-Dassler). Ruda was later changed to Puma, and a rivalry was born that still exists to this day. Both adidas and Puma are still headquartered in Herzogenaurach, and throughout the years the town has been divided down the middle about which brand to support - even the two football teams are each sponsored by one of the brands. The brothers died without making peace with each other, and although buried in the same small cemetery, they are said to be placed as far apart from each other as possible. "Newton" the thermal mannequin. Newton simulates walking movement, gets hot and sweats in order to test fabrics and materials in different conditions at the Future Sports Science Lab at adidas' headquarters in Herzogenaurach. 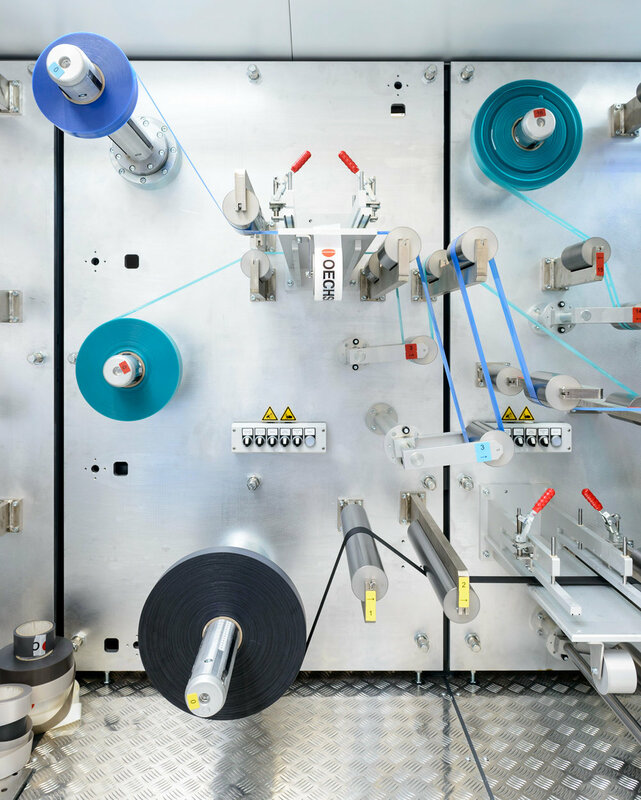 For this series I visited adidas' headquarters in Herzogenaurach, where new materials and concepts are tested by robots and athletes covered in sensors, and where skilled cobblers hand make prototypes of new shoes. 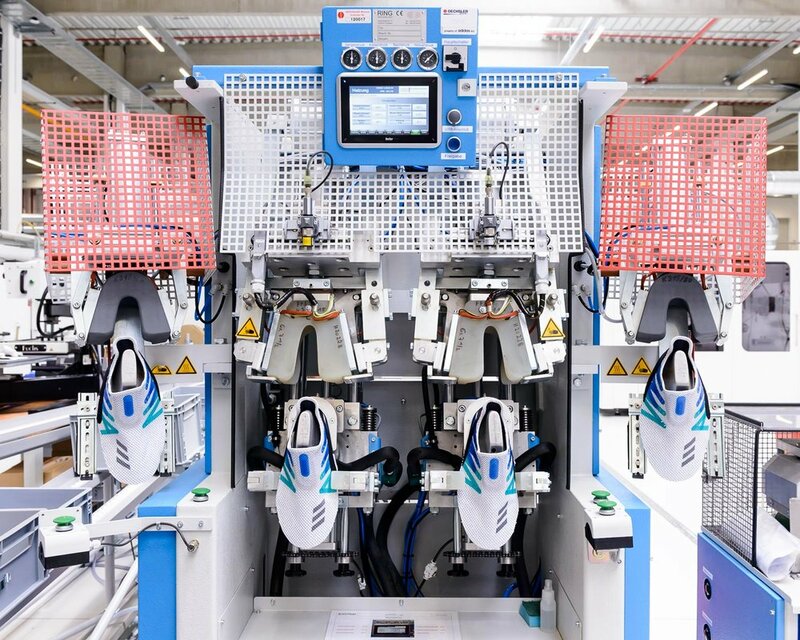 I visited a factory in Indonesia where over 10,000 workers churn out 75,000 pairs of shoes per day, and I visited the Speedfactory in Bavaria where customised shoes can be produced from raw materials within a day, and which adidas sees as the future of its production. *ReD is a strategy consultancy anchored in the human sciences. The collaborative art project ‘Spectrum’ between Alastair Philip Wiper and ReD explores the stretch between the raw production facilities of ReD’s clients and the abstract thinking that guides companies' future strategies. Selections of this project have been published in Wired UK (December 2017 Issue) and Men's Health (September 2017 Issue).